Derived from the award-winning D-M41, the new Denon D-T1 provides premium Denon Hi-Fi sound in a compact design. From unboxing to operation, set up is quick and easy. 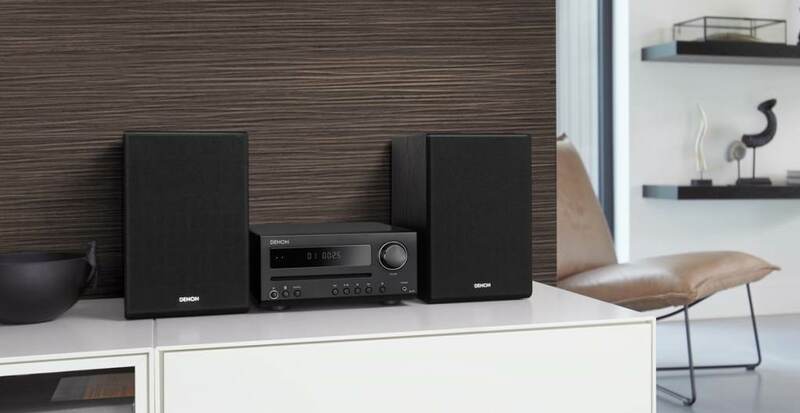 The two-way speaker system delivers the superb audio experience that’s synonymous with Denon — enjoy your favorite CDs, tune in to AM/FM radio and stream virtually unlimited songs via Bluetooth with impeccable audio quality. The minimal, compact footprint of the D-T1 ensures that it fits easily within your home. 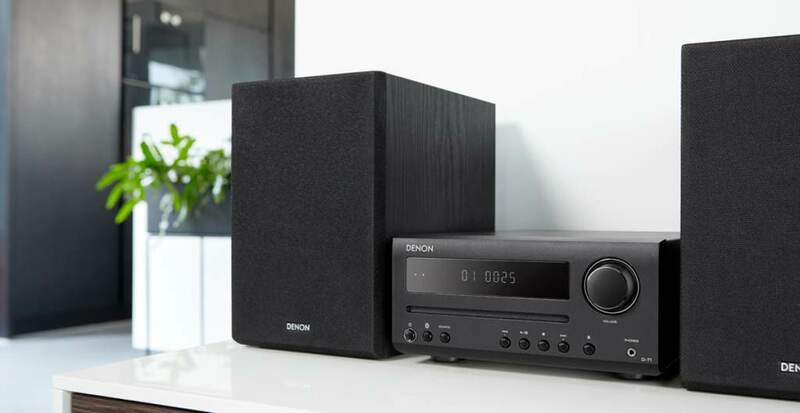 The Denon D-T1 has Built-in Bluetooth to connect wirelessly to your favorite music sources through compatible devices. Stream music from your favorite music services with Denon D-T1. Connect to Bluetooth on the D-T1 and pair it with your Bluetooth-enabled smart device. Then, enjoy virtually endless songs, podcasts and online radio stations. The D-T1 packs massive sound into compact design. 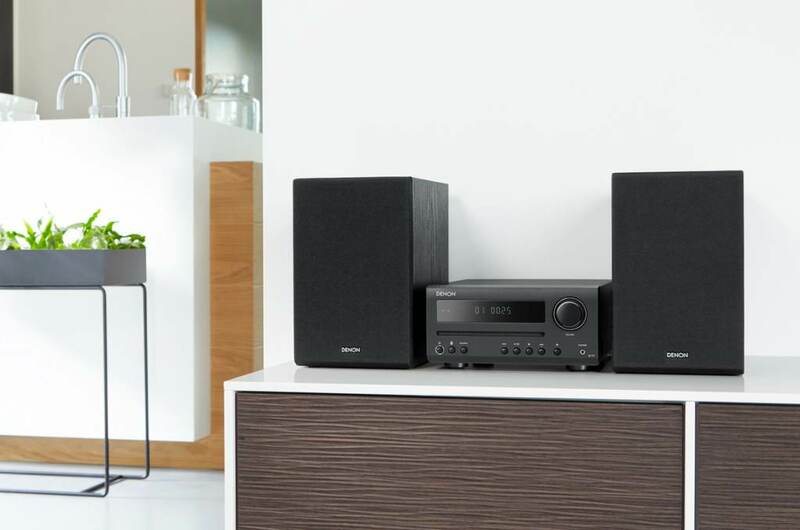 One of the most sophisticated mini-systems on the market, the Denon D-T1 was built to fit comfortably in your living room, on a kitchen counter, or anywhere else in your home. Start listening right away. 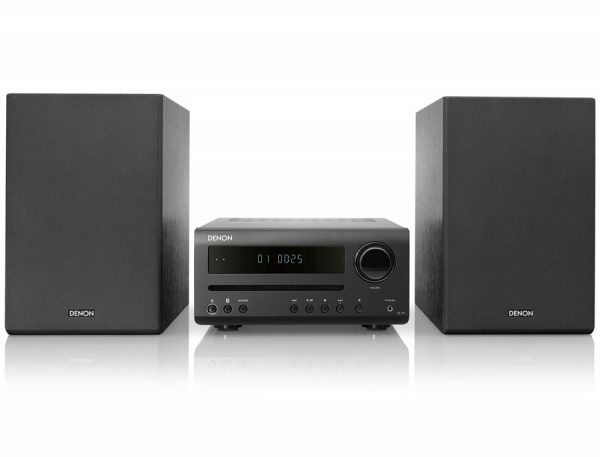 The Denon D-T1 is fast and intuitive to set up, taking just minutes to unbox and fill your home with music. Connect to your favorite streaming services with ease or just pop in a CD. The choice is yours. 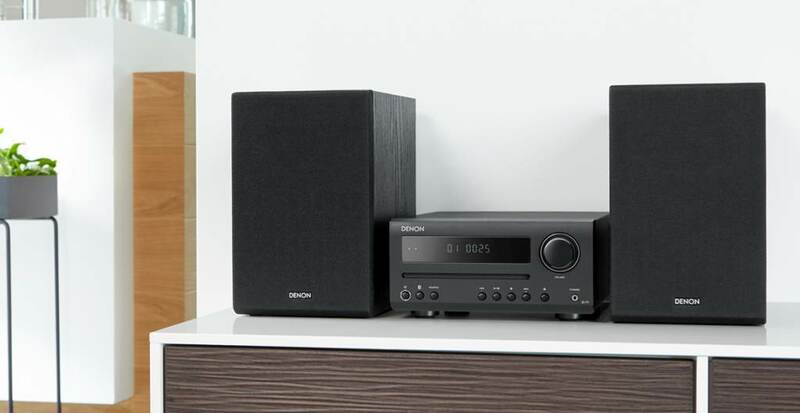 With a minimal, elegant design, the Denon D-T1 blends seamlessly with your décor. The sophisticated look accentuates the musical quality of the Denon mini-system. More ways to enjoy your favorite audio content. The D-T1 features an AM/FM tuner — listen to your preferred stations with Denon sonic quality. Play CDs from your favorite artists with the integrated CD player. 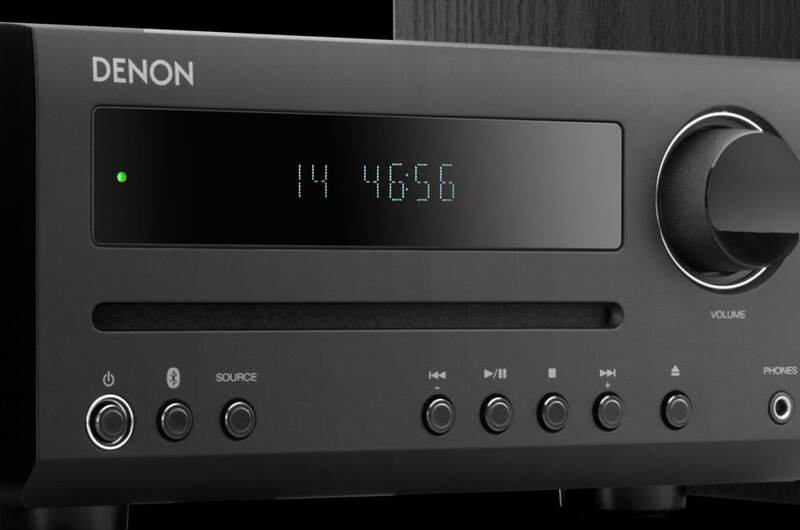 The Denon D-T1 supports CD-R/CD-RW (WMA or MP3) formatting. 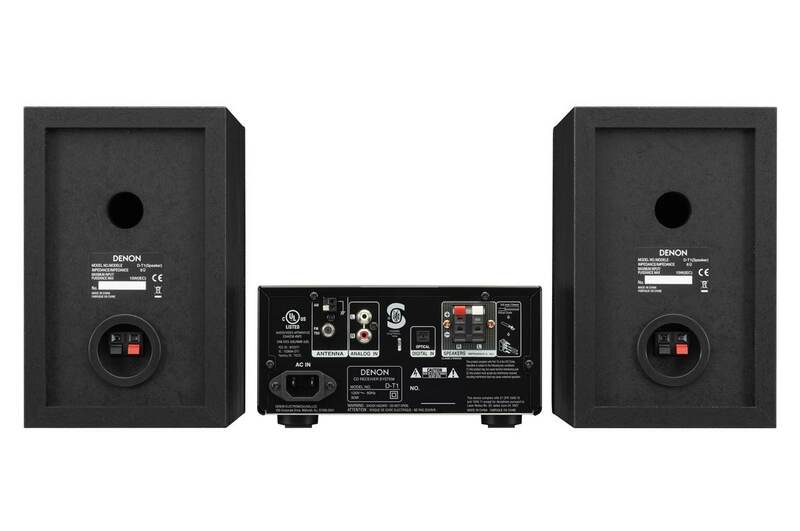 Optimize the sound of your TV and other media devices with the Optical input on the Denon D-T1. Connect your TV, gaming console, or media player to the D-T1 with an Optical cable and amplify your gaming experience or bring other content to life with audio quality that defines the Denon legacy. Enjoy a more personal connection to all of your music. Connect your favorite headphones to the Denon D-T1 via the integrated headphone jack. * The actual communication range varies depending on the influence of such factors as obstructions between devices, electromagnetic waves from microwave ovens, static electricity, cordless phones, reception sensitivity, antenna performance, operating system, application software etc. 0 For purposes of improvement, specifications and design are subject to change without notice.